This post is part of my at the table series, where I share stories and photographs that celebrate the men and women on the front lines of an inclusive, sustainable, accessible food system. I’m a sucker for beautiful cookware. 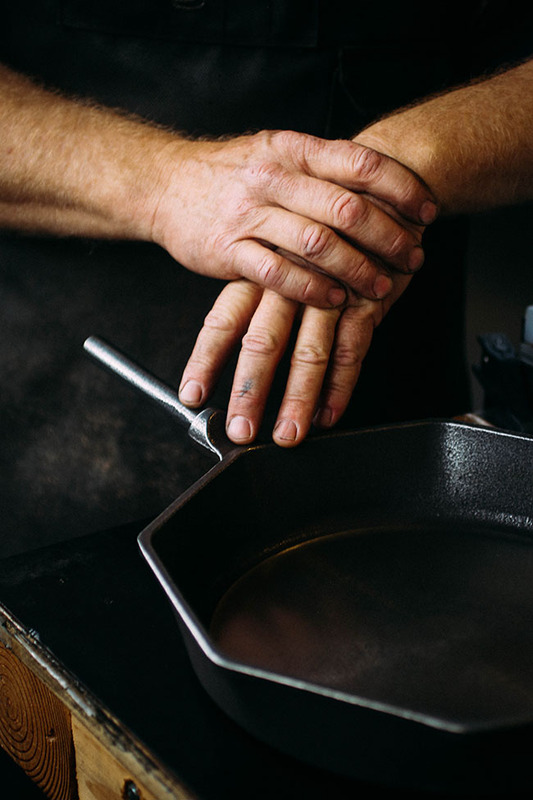 I’m a double sucker when that beautiful cookware is handmade by artisans right here in the good ol’ U S of A. And I’m a double DOUBLE sucker (double double is a thing. 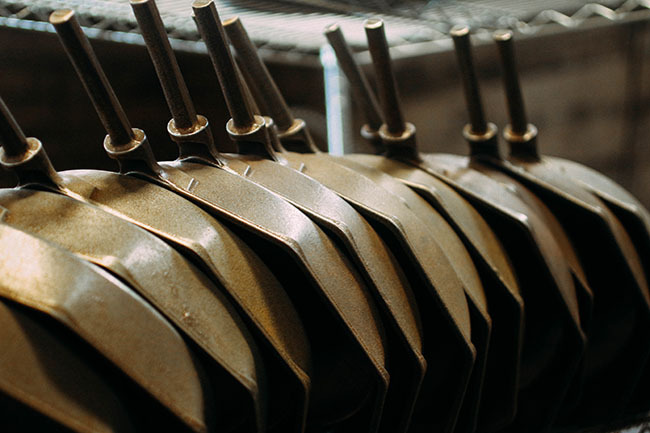 just don’t think too hard about it) when that cookware just as functional as it is beautiful. 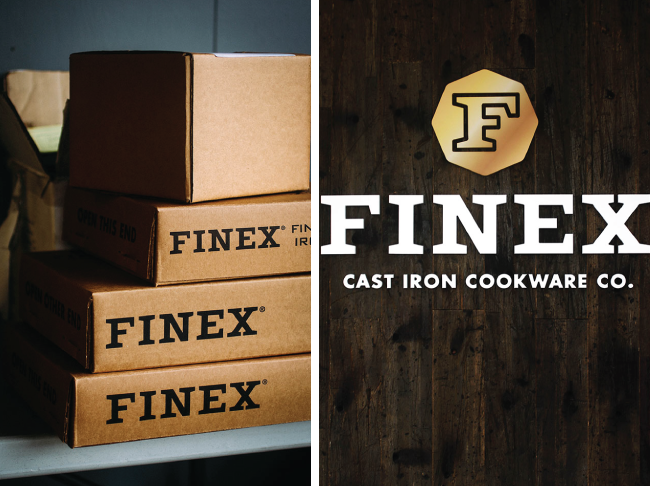 So Finex Cast Iron Cookware? I’m basically obsessed with it. Also, I’m going to be honest with you – these pictures are OLD. I visited Finex and shot their facility more than a YEAR ago (OMG), and I can’t even believe that I’m just now getting around to sharing that trip with you. 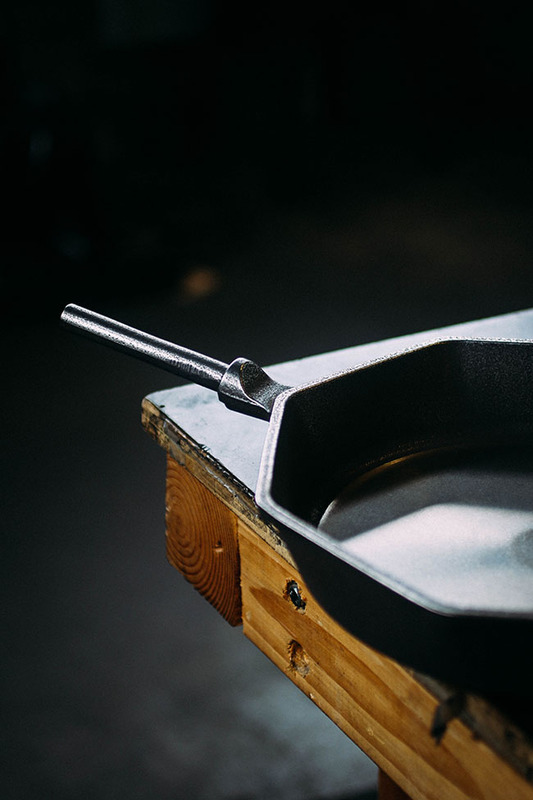 But on the other hand, that delay means I’ve had extra time to test out my own Finex cast iron pan – and I can now tell you from personal experience that these folks don’t mess around when it comes to building stunning, functional cookware. So let’s ignore how slow I was at editing these photos and just pretend it was intentional so I could spend some quality time with the pan and tell you how lovely it is (it really is lovely). Yes? Good. I knew you’d understand. 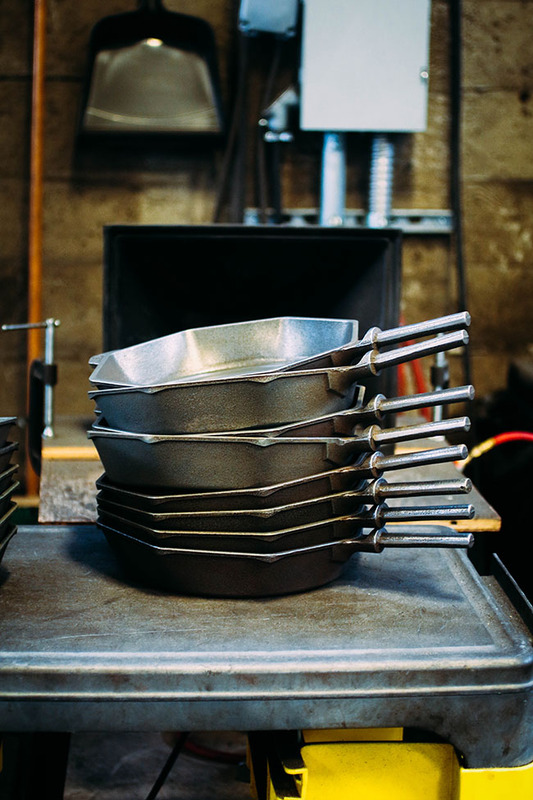 Finex got its start in 2013 when their Kickstarter campaign made more than 800% of its original goal (yup, you read that right), and they’ve been producing artisan cast iron skillets in northwest Portland ever since. 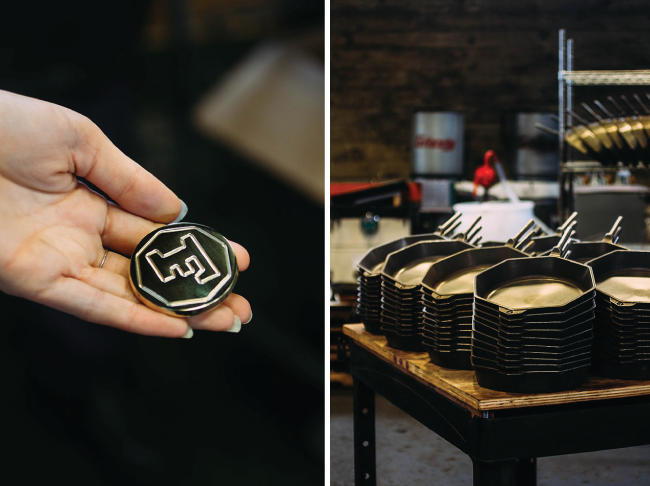 (PS – If you’re curious, you can still find their original Kickstarter video – complete with a 3D printed model of what would eventually be come their signature skillet – here). 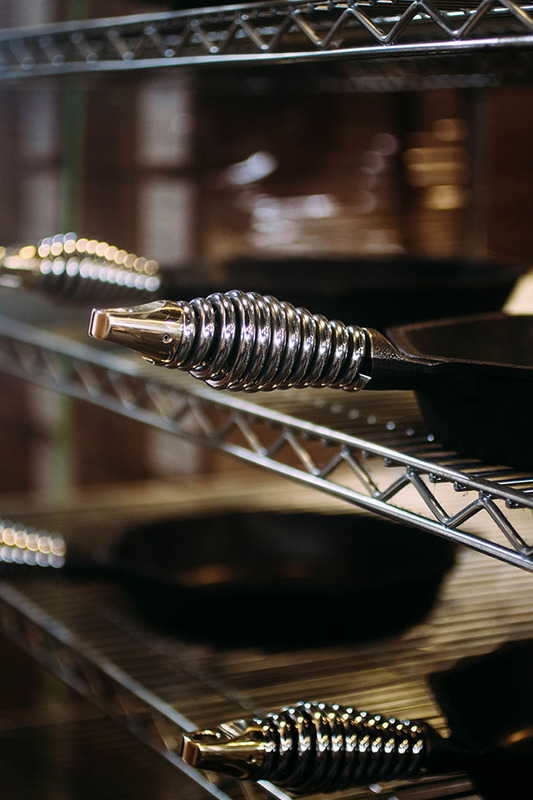 Finex cast iron pans are easily identified in the wild (or, you know, in the instagram photos of 1095809185 food photographers, myself included) by their signature hexagonal shape and ergonomic coiled handles. 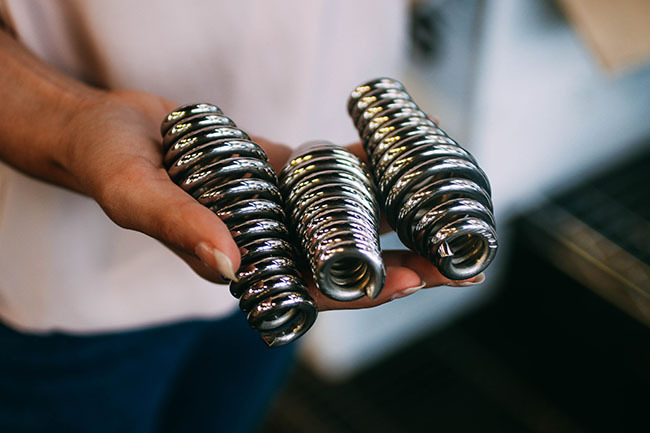 Those handles are an especially unique element: they were designed to stay cooler and dissipate heat for an easier, safer grip. 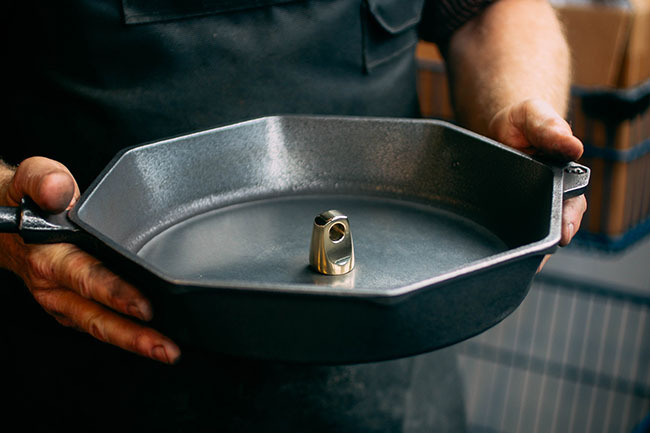 If you’ve ever accidentally grabbed the handle of a cast iron skillet after it’s been on the burner or in the oven for awhile (*ahem*), you know what a beautiful, life-changing thing this is. 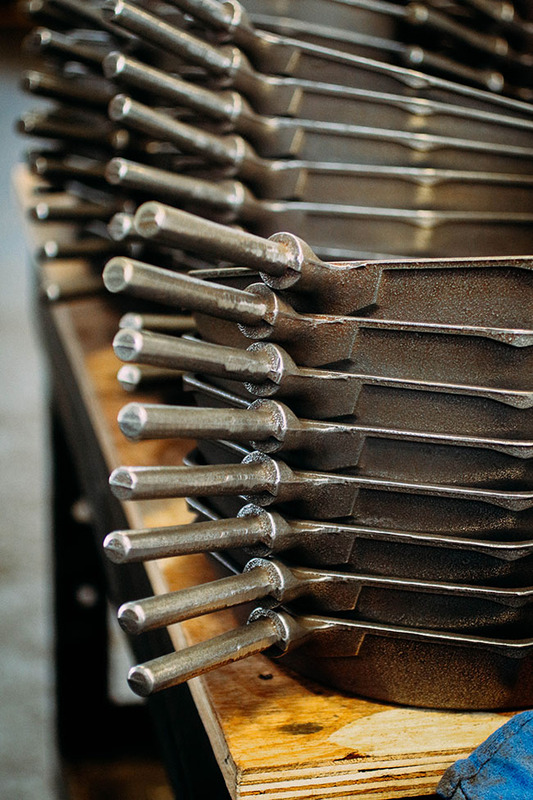 Every Finex pan is U.S. made – from the pan itself, which is cast at a U.S. foundry, to the smoothing, oiling, and done-by-hand assembly that happens in their Portland warehouse. 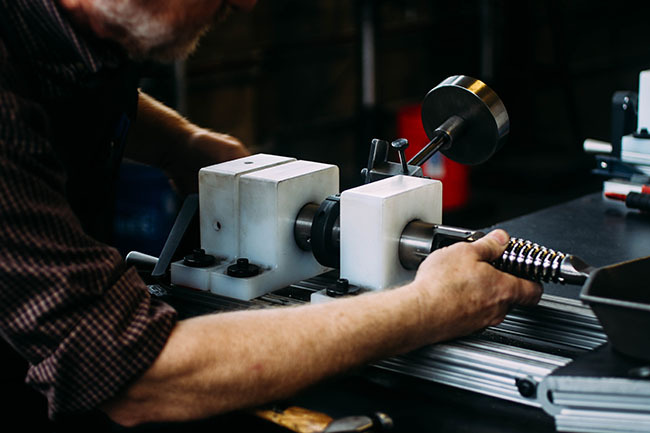 You won’t find any conveyor belts at the Finex factory – just real, lovely people who want to build the best cast iron pans possible. 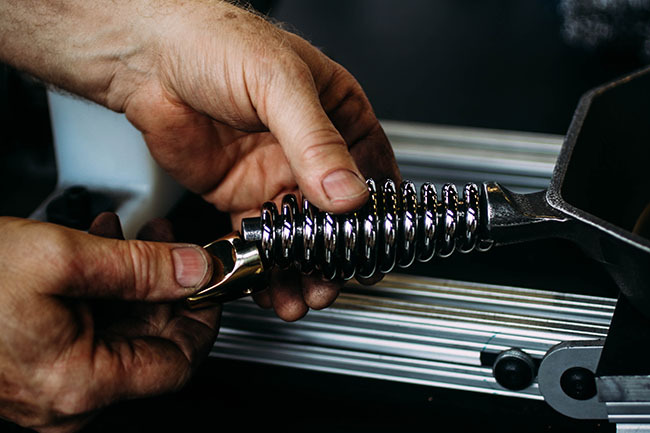 Even some of their production equipment is handmade – built by Finex team members to help with the unique assembly requirements of every Finex pan. 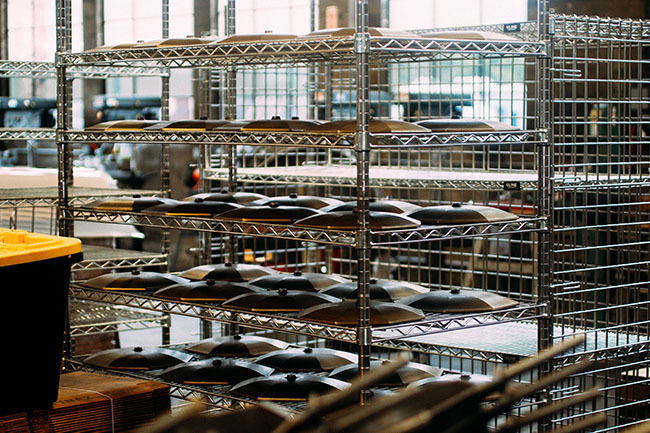 Before assembly, pans run through a polishing process to wear down any sharp or uneven pieces by gently tumbling in a sea of small, ceramic pieces coated with soap. 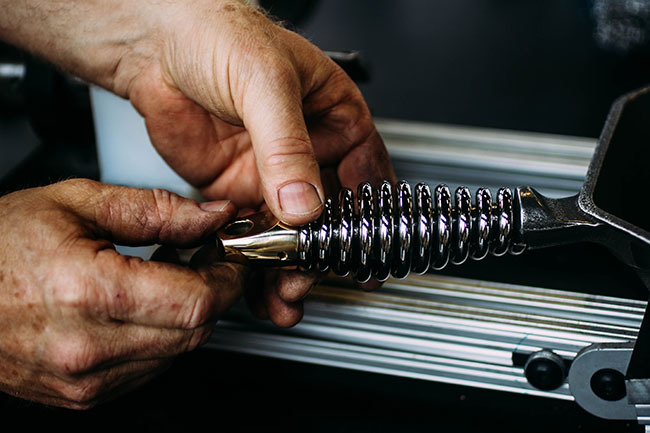 The final step is assembly. 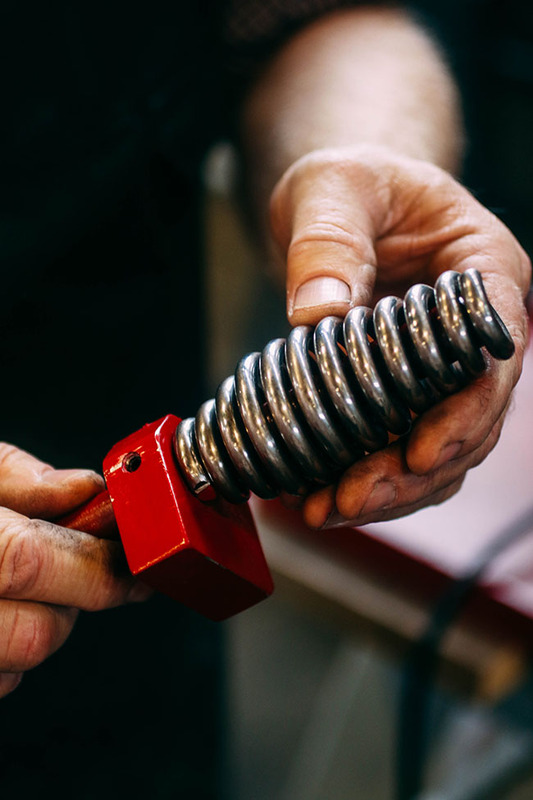 Each cast iron pan is fitted with one of Finex’s signature “Speed Cool” coiled handles (hip hooray for not burning yourself on your pan!) 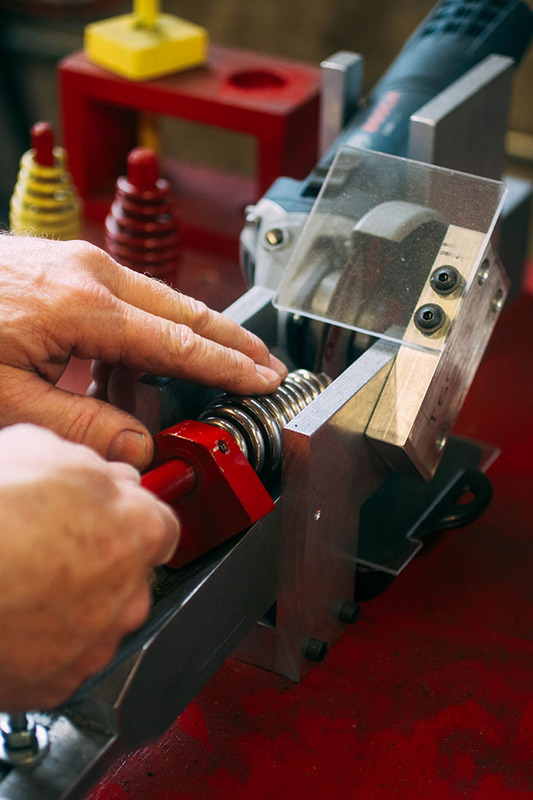 and a hand-polished brass cap. 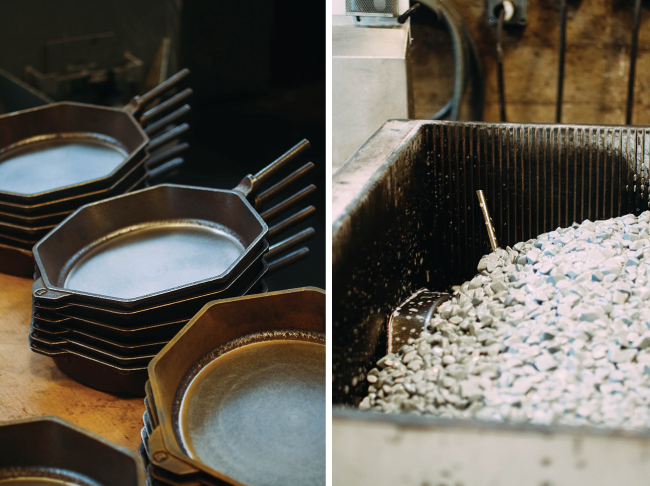 SO MUCH care and detail goes into these pans, and the folks at Finex pour their love and appreciation for craft and cooking into every piece they make. 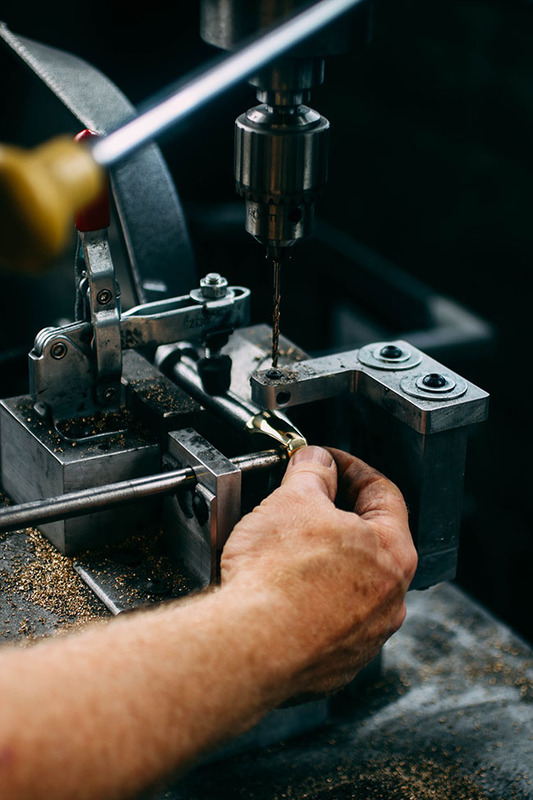 With their passionate team and a commitment to quality and design, they’ve managed to create something modern and timeless all at once. A huge thank you to the team at Finex for showing me around! 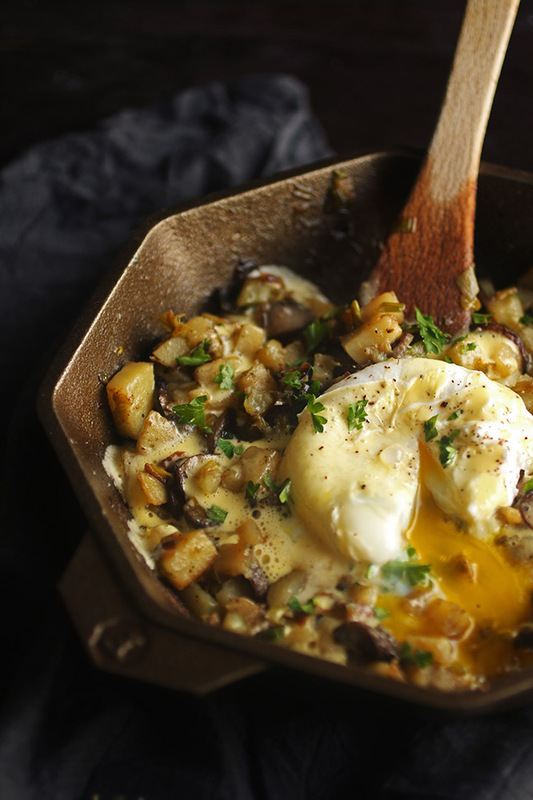 Purchase your own Finex cast iron pan at Williams Sonoma or shop their selection online. Wow these photos look great! Do they do Dutch ovens also, is this what you used for the bread r cops in the Dutch oven? Thank you so much! I don’t believe Finex makes Dutch ovens, but I use a Le Creuset in those bread photos! First I have to say great pictures you definitely highlighted the uniqueness of Finex cast iron cookware. I have never cooked with cast iron cookware but your article and the Finex videos make me rethink the advantages of cast iron. 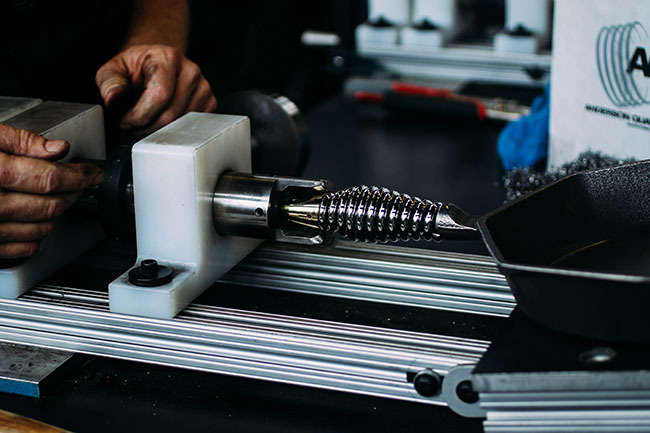 Reinventing the shape to allow for easier pouring is a bonus. Thanks, Dave! I’m a huge fan of cast iron and would definitely recommend giving it a try if you haven’t cooked with it before. I’m so happy you liked the post!